"This book would be a lovely and enjoyable addition to anyone’s Historical Fiction shelf." Beautiful and winsome, Betsy Zook never questioned her family's rigid expectations, nor those of devoted Hans, but then she never had to. Not until the night when she's taken captive in a surprise Indian raid. During her captivity, Betsy faces brutality and hardship, but also unexpected kindness. She draws strength from native Caleb, who encourages her to find God in all circumstances. She finds herself torn between her pious upbringing and the intense new feelings this compelling man awakens within her. Handsome and complex, Hans is greatly anguished by Betsy's captivity and turns to Tessa Bauer for comfort. Eagerly, Tessa responds, overlooking troubling signs of Hans's hunger for revenge. 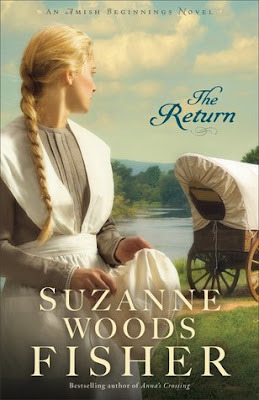 When Betsy is finally restored to the Amish, have things gone too far between Hans and Tessa? Inspired by true events, this deeply layered novel gives a glimpse into the tumultuous days of pre-revolutionary Pennsylvania through the eyes of two young, determined, and faith-filled women. I found the book to be an incredibly insightful look into a time that isn’t often written about. I rarely see pre-revolutionary war stories these days. And with the Amish and Mennonite hints interwoven, it made this story quite interesting. The people in this book are well crafted, interesting, and make the reader sympathetic to them. I found myself rooting for some of the characters; Betsy, Caleb, and Tessa mostly. There was one particular character I wanted to hit over the head, but such is the life of a reader. Uncle Felix was probably my favorite. The cast is rather large and considering that the story point of view switches between upwards of 4 or more characters over the course of the book, Fisher did an amazing job of keeping each of them distinct and easily relatable. The characters also have a very satisfying arc throughout the story. None of them felt unfinished at the end of the book, which I greatly appreciated. I very rarely felt bored while reading this book. It was quite intriguing without being incredibly suspenseful. And while there was suspense, I didn’t find it overdone. With the heaviness of the subject matter, I found that the author balanced the feel of the story by keeping the humor alive and making parts of the narrative entertaining and even sad at times. The story setting is richly depicted. With a pre-revolutionary war frontier, and the issues of land ownership, the settlers against the Indians, I found it very fascinating and educating, all while still being entertaining. I learned a lot about that time period and the struggles that were ever-present. Multiple messages abound throughout the tale; the message of trusting the Lord even when bad things happen being the most prevalent. All things work for good to those that love Him. Forgiveness, jealousy, anger, revenge, and bigotry are also major themes. I found that the author did an impressive job of weaving messages of hope and truth into the tumultuous lives of her characters. The content was a little violent at times and some of the story I found quite depressing. The number of people who died and the massacres that took place were so shocking and overwhelming. I can’t really blame the author, however, as it was real life and truly did happen. I just want the reader to be aware, especially if a family or children are going to be reading it. I would recommend this book for ages 14+ due to some violence and descriptions thereof, as well as some other somewhat mature, though not graphic, themes. This book would be a lovely and enjoyable addition to anyone’s Historical Fiction shelf. The story and messages within are enjoyable, entertaining and educational. I even think The Return could make a great family read aloud and could prompt some discussions. I found that some of the character's struggles transcended time and could be issues that people of today will find relatable. Purchase The Return on Amazon. Victoria Lynn is a “Jane of all trades” who seeks to master them. She runs several small businesses and is the girl behind the blog, Ruffles and Grace. She is an Indie Author with a passion for literature and the written word. She lives in the glorious state of many lakes, Michigan, with her parents and eight siblings. She devours books and likes to say that if she could get paid for every book she has read, she would be a millionaire. Some of her favorite things to do include writing fiction, learning new things, acting, creating something with her hands and playing the piano or singing. 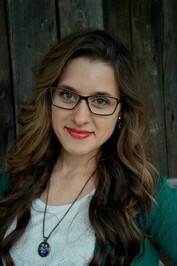 She also is one of the founders of Ichthus Family Productions and seeks to honor the Lord in all that she does. Disclosure: We were provided a review copy of this book by the publisher at no cost. This post contains affiliate links.